Small groups have no more chance of initiating revival or transforming people’s lives than an empty fireplace has of starting a fire. Your small group should be a fireplace–an environment where God will do what only he can do in changing people’s lives. But you are not the fire, or even a match. I began this blog series by describing what a small group is and is not (read it here). 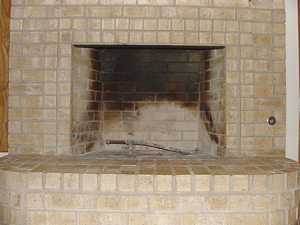 Today I’ll begin describing how your group can become a fireplace. Each of the next several posts will focus on just one vital calling or assignment that you as a leader or your group as a whole must accept and put into practice to become a healthy environment where God can build fires. TODAY’S ASSIGNMENT: You as a leader must pray everyday. Simple. But perhaps the most vital thing you do. Before I even start inviting people to a new group, I begin praying – for me as a leader, for the group as a whole, for individuals who will be invited to the group. I pray for people by name, especially those who are not believers, and I ask God to begin working in their hearts. Basically, before any seed is to be planted, I’m asking God to prepare the soil of my heart and their hearts. Or, in keeping with the original metaphor, I’m sweeping out the fireplace and opening the damper before placing logs on the hearth. When the group begins to meet, I take time each day to pray for each person in the group. Beyond that, however, I take time each day to pray especially for one or two individuals. For instance, if there are ten people in the group, I write two people’s names on each of the weekdays of my calendar in a given week. I consider it part of my responsibility as a leader to hold them up to my Father in prayer every day. And I encourage other members to do the same. Would you like to know a little trick for stoking the effectiveness of your prayers for group members? This is a secret that Jesus practiced all the time. It’s a secret that seems rare, however, in our busy, me-centered world. Are you ready? Here it is … spend time with group members. Invest individually in their lives. (By the way, you can’t effectively do this with a group larger than four unless you are sharing leadership with a core team.) Serve them. Hang out together (and not just on Google). Eat meals together. As you get to know your group members personally beyond all the small talk, you will know how to really pray effectively for each of them. Prayer is by far the biggest accelerant for revival and spiritual growth. And leader, it starts with you. How are you doing when it comes to praying for your group members? What tricks have you learned?